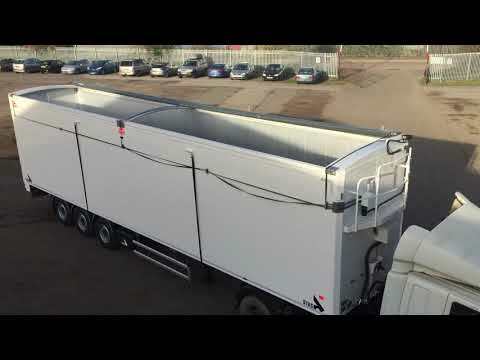 Lightweight, side-to-side system for bulk transport bodies, easily retrofitted, ideal for heaped loads, giving a watertight seal and good heat retention. Specifically designed for walking floor trailers and heavy duty operations. Over 20,000 Hydroclear systems sold. Proven reliability with 3 years warranty!